(Checked on 23 Apr, 2019) Get flat rs.500 cashback on party booking for minimum 25pax. No any coupon code needed in this offer. cashback will be credited within 15 days.Book Now!! (Checked on 23 Apr, 2019) Get flat rs.1000 cashback on party booking for minimum 50 pax. No any coupon code needed in this offer. cashback will be credited within 15 days.Book Now!! 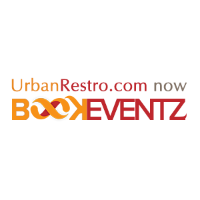 (Checked on 23 Apr, 2019) Get flat rs.2000 cashback on party booking for minimum 100 pax. No any coupon code needed in this offer. cashback will be credited within 15 days.Book Now!! (Checked on 23 Apr, 2019) GET 10% off on Food and Non Alchoholic Bevereges ON galaxy of star. Book now!! (Checked on 23 Apr, 2019) GET flat 15% off on food bill on golden jade. Book now!! (Checked on 23 Apr, 2019) Buy 1 get 1 Free on IMFL from (12pm to 8pm). BOOK NOW!! BookEventz is online website of book banquets & party venues, caterers, birthday party, cocktail party, wedding and much more in Mumbai, delhi-ncr, goa, pune, Chennai, Bangalore, suart, Ahmedabad. At Coupondekho you can get the BookEventz coupons, BookEventz discount coupons, BookEventz promo codes, BookEventz offers.